Right on schedule, at last week’s World Wide Developers Conference Apple announced the next iteration of their desktop OS, OS X. 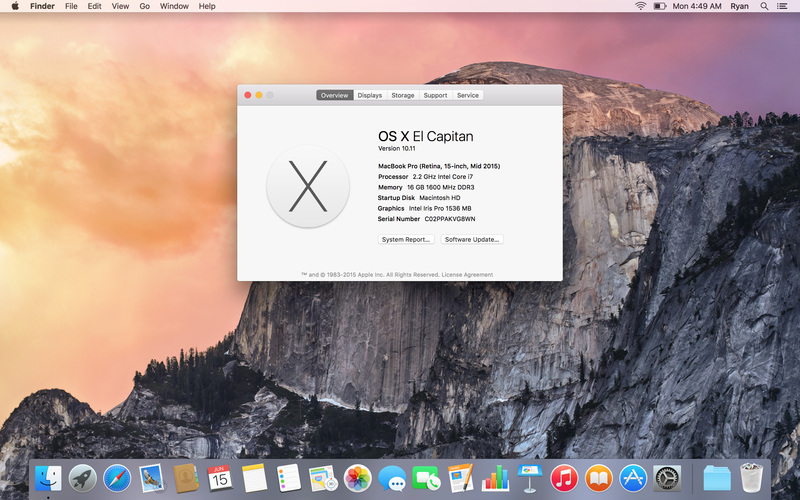 Version 10.11, dubbed El Capitan, is the latest in Apple’s string of yearly OS updates. And with this now being the 3rd iteration of the company’s initiative to offer free desktop operating system upgrades, it’s safe to say that the company has settled into what is the new norm. From an OS perspective, WWDC straddles an interesting point between announcing new OSes and priming developers for them. The sole public session of the conference is the Keynote, where Apple announces the newest versions of OS X, iOS, and whatever other major initiatives they have going on. However once the keynote is done, that’s it for the public. The company has plenty of other activities going on at WWDC, but those are closed door events for attending developers. Ultimately there’s no practical way for Apple to announce something major like a new OS to developers without the news leaking, so the company instead does a public announcement to get consumers and developers excited while neatly sidestepping the immediate issue with keeping such a big secret, and then closes up to get to work on preparing developers for their latest OSes. Of course developers can only do so much without seeing the OS first-hand, so along with serving as a developers conference and keynote backdrop, WWDC also serves as the launching point for Apple’s OS betas for developers. Over the next few months OS X and iOS 9 will go from a developer beta to a public beta, and finally to retail products. Which is to say that developers get to have all the fun of actually interacting with the OS first, as the public beta won’t start for another month or two. And that, at last, brings us to today. With thousands of developers and no practical way to keep the OS from leaking, Apple is seemingly trying something a little different this year when it comes to engaging consumers and the press during the developer beta period. 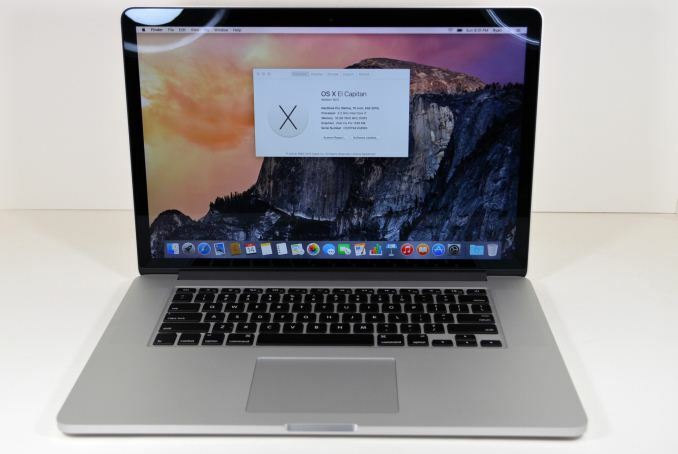 Rather than clamming up entirely – developers are under non-disclosure agreements – Apple invited us to take a first look at the beta OS, loaning us a 2015 15-inch Retina MacBook Pro with OS X El Capitan preloaded. To that end, today we are taking our first look at El Capitan, checking out the major new features of the OS and experiencing first-hand the software Apple is putting together for later this year. Now make no mistake, this is a beta OS and it has problems like any piece of beta software does – Apple does not withhold OS betas from the public just because they like to be secretive – but it’s an increase in transparency from a very opaque company. More to the point, while El Capitan still has some debugging to go through and a few teething pains that come with it, it’s already in a state where it’s usable, where the major features are in place and working, and the bugs Apple hasn’t already squashed can be worked around by an experienced hand. So with that in mind, let’s take a look at what Apple is gearing up for with the 12th iteration of OS X. 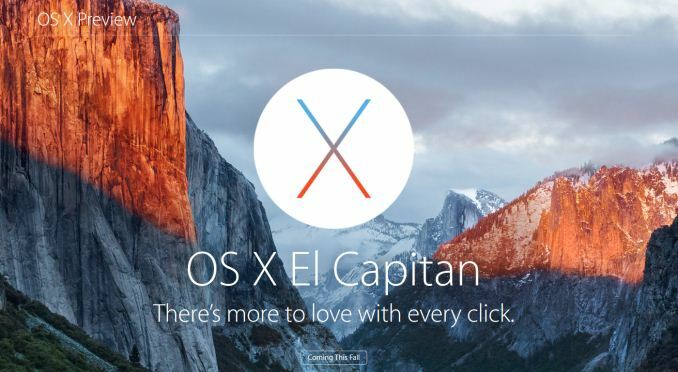 First off, to address the obvious question in the room, why “El Capitan?” With Apple dropping the big cat codenames a couple of years back, they have now started naming OS X after California landmarks. With 10.10 Apple named the OS after Yosemite National Park, and now with 10.11 El Capitan, they have gone one step further and named the OS after the El Capitan rock formation. El Capitan is admittedly a bit of a mouthful, especially if you’ve never heard the accent pronounced before (it’s pronounced el-KAP-i-TAN, by the way), however the name is fitting from a development standpoint. Whereas Yosemite was a major OS release for Apple, involving a significant UI overhaul along with numerous feature upgrades, El Capitan is a far tamer excursion for Apple. It’s still an important release for its own reasons, but it’s definitely an iteration on Yosemite rather than another major change; it is the Mountain Lion to Lion, the Snow Leopard to Leopard. So it’s only fitting that with such close ties to Yosemite, it’s named after a rock within the park. Ultimately with the company no longer charging for OS updates, they can afford to take on a build-and-optimize approach, since no matter how many new features an OS comes with it’s still free. At the same time it means that El Capitan gets to build off of a solid base in Yosemite, which means Apple can focus on other areas of the OS. So what does El Capitan bring to the table? Over the next couple of pages we’ll lay out the major features, but in a nutshell it’s an interesting combination of some further harmonization with iOS, some new features for the OSes major applications, and even some core technology updates. Mentioning iOS and OS X in the same breath always draws a few groans, and while some of the iOS elements that have come to past OS X releases has been more tepidly received than other elements, in the case of El Capitan it feels like Apple has a better grip on harmonizing the OSes without losing what makes OS X unique, and what makes a desktop OS work best. oh so that's what it is. You should understand that for anyone living outside the US (probably most of the people living outside of California) the name is a joke. Also, if product names weren't important you wouldn't have so much money and effort put into this. If the name sounds like a joke you're very likely to consider the product as some sort of joke. Ok, Apple can afford this since the name is tied to the MacOS brand and also it's not like most users have much of a choice or wide selection of products.